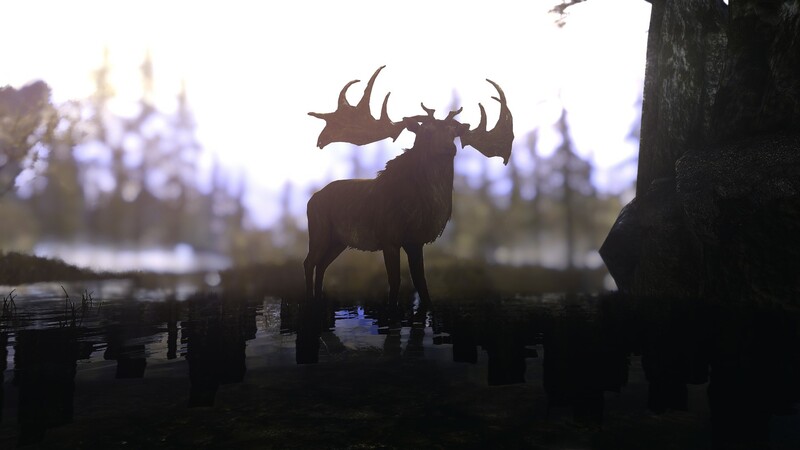 ENB is a graphic mod created by Boris Vorontsov in 2007 and it basically has the same functionality of ReShade, applying different processing effects and changing a game’s appearance completely. You can easily install it by placing the required files in the main folder where you can find the executable. 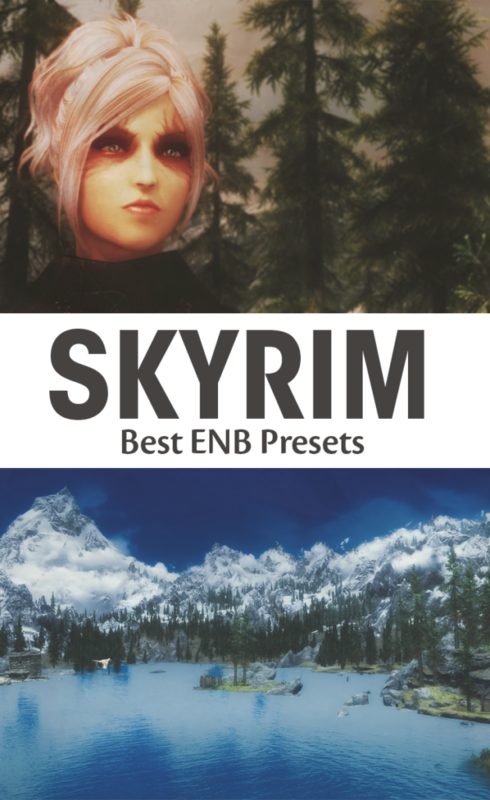 Before installing any kind of preset be sure to grab the main files for Skyrim here. 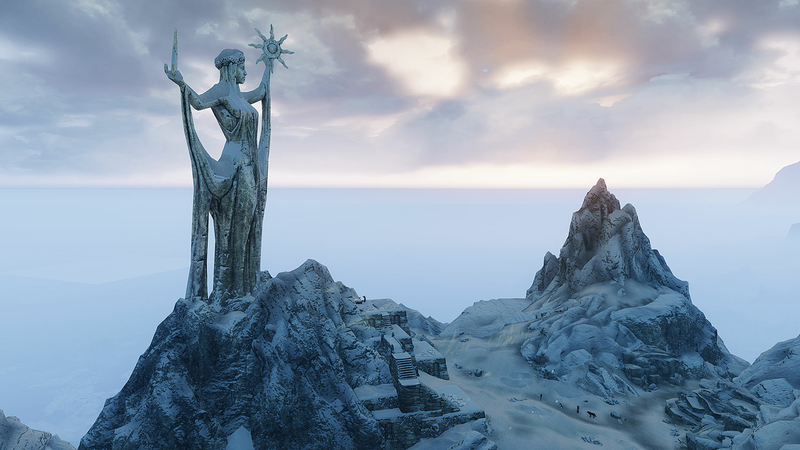 If you want to try ENB with other titles, on this page you can find the compatible games under Graphic modifications. Also be sure you read all the needed descriptions added by the authors before grabbing their presets, since they usually include very important instructions such as .ini tweaks and required/suggested mods for the best result. ENB is also more technical than ReShade, a wrong installation could make your game crash whenever you try to load a save. 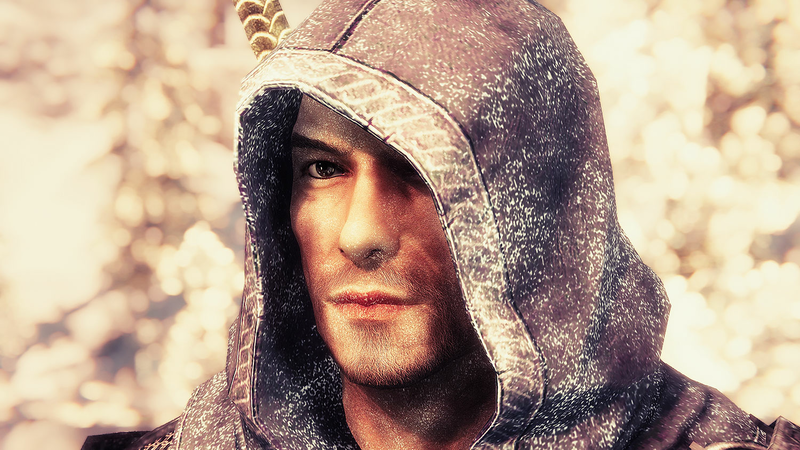 One of the best options included in ENB is Depth Of Field, which as you all know by now, makes the background blurry keeping your character or element of choice in focus like in real photography. There are different settings available for DOF and you can modify them yourself playing around with the values (you open the ENB console with CTRL + Enter, or Alt + Enter, or Alt + F2 depending on how the preset is configurated). In most cases the authors offer you optional files for different DOF settings directly. Grim and Somber is one of the most used configurations and it offers different color schemes you can choose from (Vaermina, Malacath, Jyggalag, Hircine and Azura). 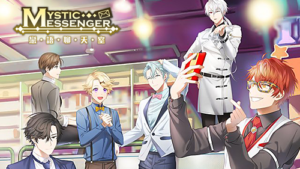 Get the one you like most from the examples or experiment with all of them to see which one satisfies your tastes more! This preset is surely one of the best out there, but it sadly has a huge downside: it can use a lot of memory and even the performance edition may display a low framerate from time to time. It’s a heavy thing this one, yes, but if your hardware is good enough I definitely suggest you to give it a shot as well. 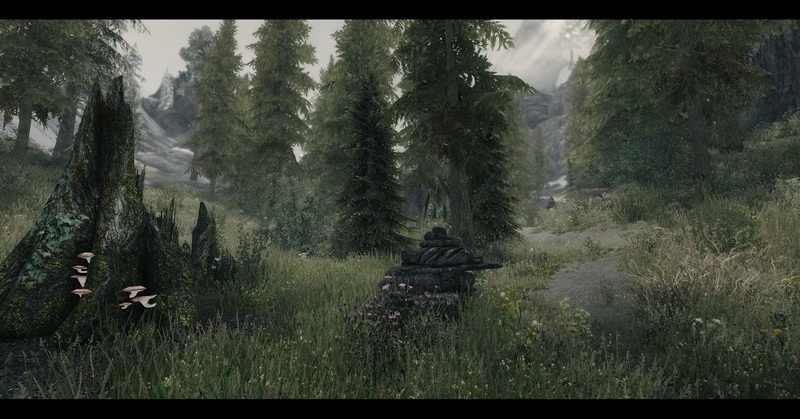 It was my very first ENB and I loved how the game looked with it. 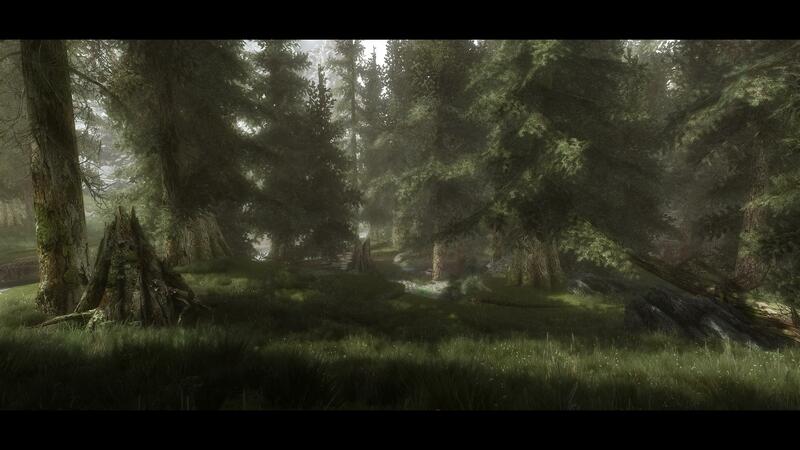 Quite a mix between Grim and Somber and K ENB in terms of colors and atmospheres. Tranquility is a great presets for sceneries and looks wonderful at sunset. You probably need a few additional mods for overall lighting and atmosphere (like ELFX) in order to make this preset look like the examples offered on the page, but it gives you realism and quality without affecting the performance too much, thus I’d say it’s definitely worth it. 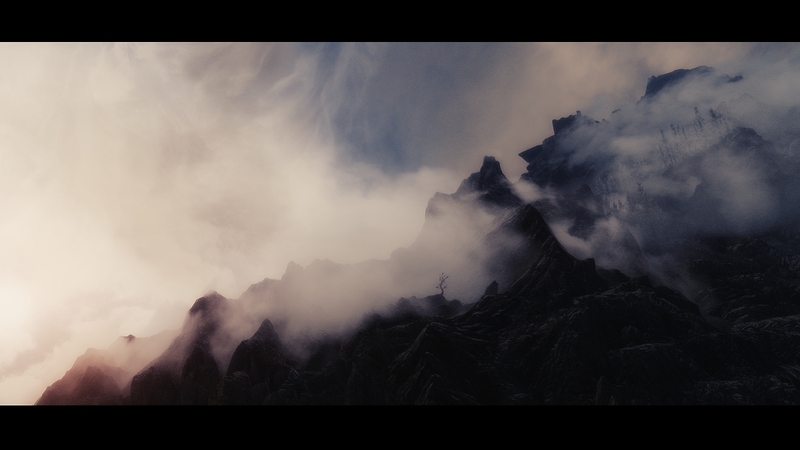 I’m not sure if this is a sort of alternative version using the K ENB as base, but I’ve played Skyrim with it for a bit and I can say it’s completely different in terms of effects and performance. 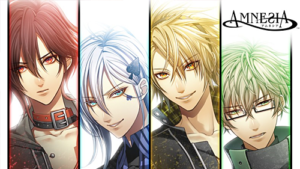 It has very beautiful and vivid colors, looks best with warm tones. Among the ones I’ve tried so far this is my favorite ENB. First of all, I absolutely love the bokeh effect when DOF is activated, but what makes this configuration epic is the number of custom schemes available, plus the three free slots you can fill with your own LUTs. All the needed instructions are included in the download. Vividian has very soft tones and is great for showcasing your playthrough, seems to look particularly good in forests and foggy environments. As the name suggests, this preset is specifically made for a cinematic experience. It creates a very filmic atmosphere enhanced by the letterbox that can be hidden at any time if you don’t want it. This preset is next in my list of ENBs to try out. The colors look amazing in pretty much every kind of atmosphere and it offers the same LUTs palette switching from Snapdragon. 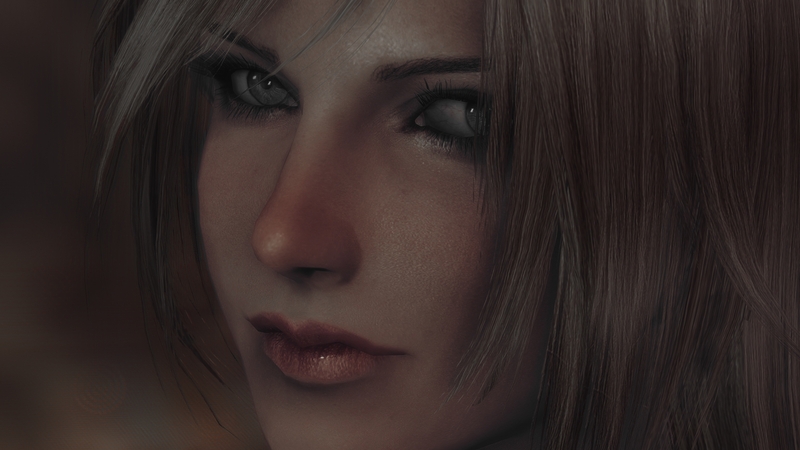 Last but not least, the wonderful Noir preset by Rusey. This look is very unique for its overall dark/black and white tones mixed with a very saturated red that stands out with visible blood and general warm colors. There also is a deep blue variation on the download page. 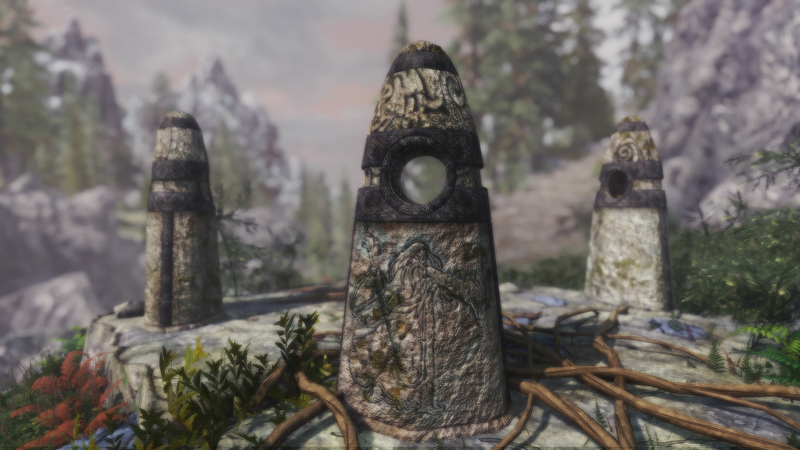 It is very important to carefully check the list of compatible or incompatible mods in every ENB description, in order to avoid conflicts and get distorted graphics. For a list of useful and recommended mods for environments and characters you can see this post, also check the Console Commands section if you don’t know how to use the incorporated photo mode. Overwriting will most likely fail, because remnants from the previous preset could remain in your folder and this will cause an unwated crash or a wrong appearance. I suggest you to download the ENB FXAA SweetFX Manager and Remover to easily and permanently delete every installed file and start anew. Some ENB creators also want you to install the ENBHelper. Optional, but highly recommended, is the Particle Patch and Subsurface Scattering for ENB. 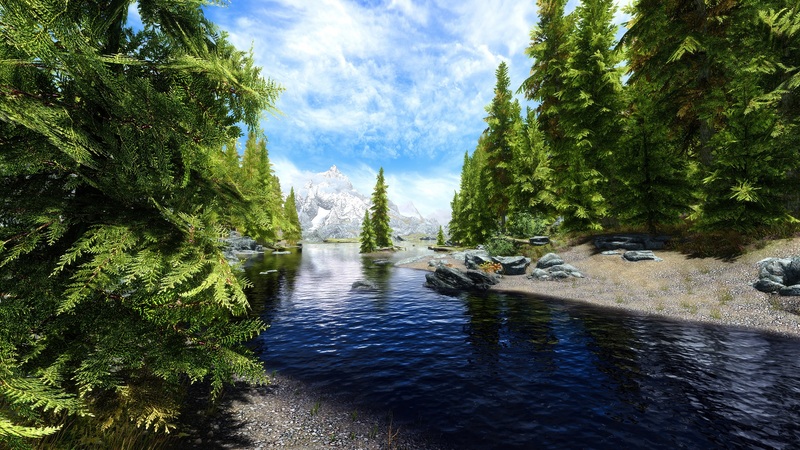 Another useful file is the SkyrimPrefs and INIs for Performance and Graphics Boost. If you are into screenarchery I suggest you to use a photo studio mod for your characters, such as Aether Suit (best one), Review Studio, KurooNeko Photo Studio and Nausicaa. UPDATE 08/6/2017: I just found out there is a program named ENB Manager and Changer, a Java application. With this tool you apparently can easily switch between presets without the usual operation, but it doesn’t seem to be user friendly at all. Also, considering you have to apply modifications to the main .ini file most of the time while installing a new ENB, I’m not exactly sure it works smoothly unless someone can confirm it’s still reliable despite being quite old. Note: Skyrim SE also works ReShade. In some cases you can even use the two graphic mods together. 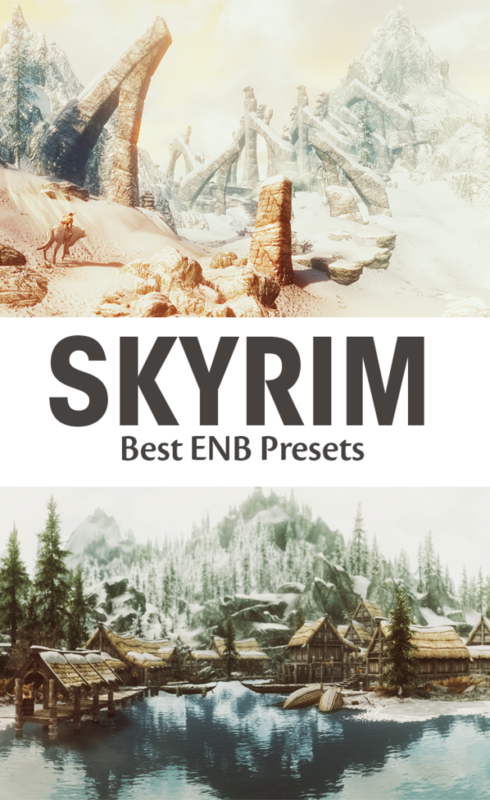 A few authors are converting their old presets for the new Skyrim, although the 64bit version is still limited compared to the old one and a lot of mods cannot be properly installed, included ENB apparently. A bit similar to Vividian, this mod has been nominated the File of the Month in January 2017. Very colorful and powerful, this LUT includes both ReShade and ENB. Just like Cinemascope, CFL gives you a deep filmic immersion with different presets to choose from. Another conversion from Oldrim to the Special Edition. As you can see from the screenshots this LUT looks less saturated than the previous one, but it creates a soft and nice “pastel” overlay. The configuration is still in a sort of Beta phase and has a lot of issues if you try to setup a custom resolution for screenshots through SRWE. This vivid preset works wonderfully with weather mods. You cannot find as many ENBs for SSE like you do with normal Skyrim. Although the updated version was supposed to bring improvements, in my opinion it only makes sense on console for the general retextures and polished looks. The PC version already had an additional HD pack for better maps and the new 64bit binary is not compatible with previous mods like SKSE (primary addon that makes many other mods work).